Hi! My name is Elena Morgun, I live in Ukraine, I am 24 years. I am a happy wife and mother of two very active kids, a boy and a girl. Scrapbooking came into my life 3 years ago and now it’s not just a hobby, it’s my favorite job and essential part of life! I love to experiment and try something new, like a paste and paint. 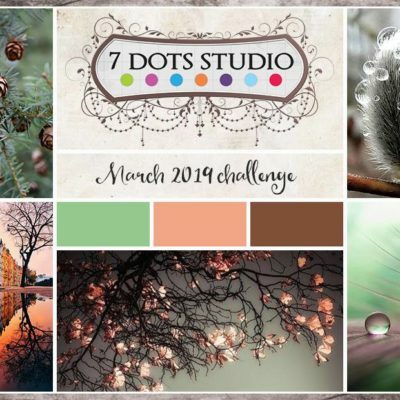 I am very glad to become a part of my favorite DT 7Dots Studio. Thank Tusia!